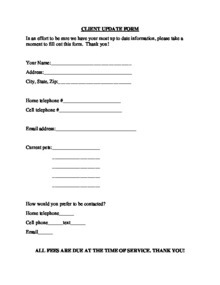 These forms are available in our office, but feel free to browse and complete these forms at your leisure. 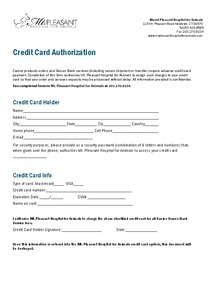 If you need them in a different format, please do not hesitate to contact us to let us know. 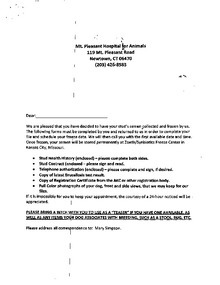 This simple form will allow us to learn more about you and your pet. 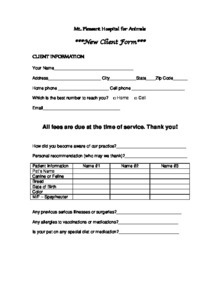 If you need to make changes to the information your previously supplied in your New Client Form, please kindly use this Update Client form. Thank you.